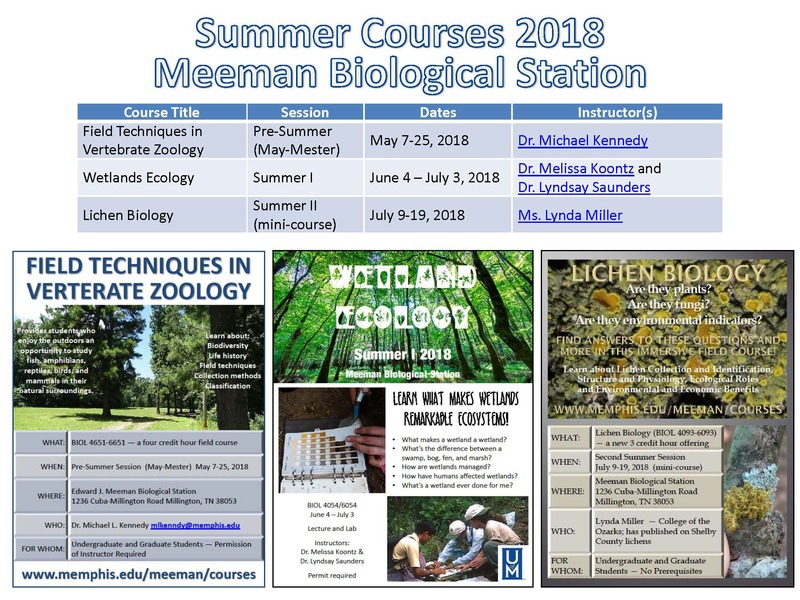 We have an exciting line up of courses being offered this Summer at Meeman Biological Station. Look at the following fliers and syllabi and consider taking some upper division or graduate Biology elective credit (with lab). 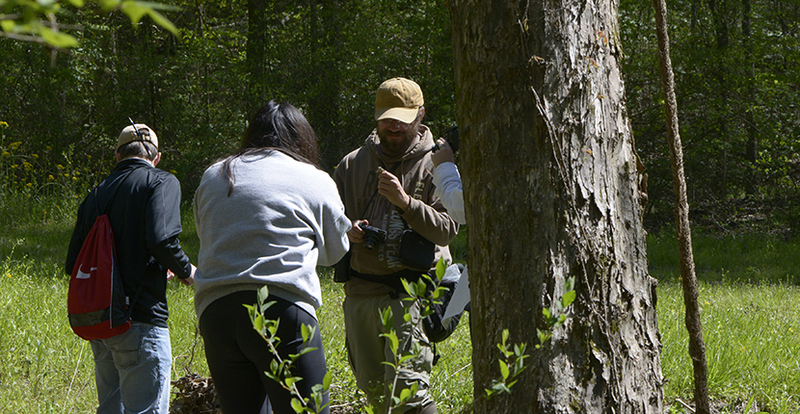 The courses are by permit only (to confirm students understand the nature and time commitments of a field station course), so be sure to contact the instructor of record before registration to have a permit approved. Learn how to recognize, collect and prepare small mammal specimens in Field Techniques in Zoology(Syllabus). Discover what makes wetlands remarkable ecosystems by taking Wetland Ecology. Examine the life and times of Lichens in Lichen Biology (Syllabus). 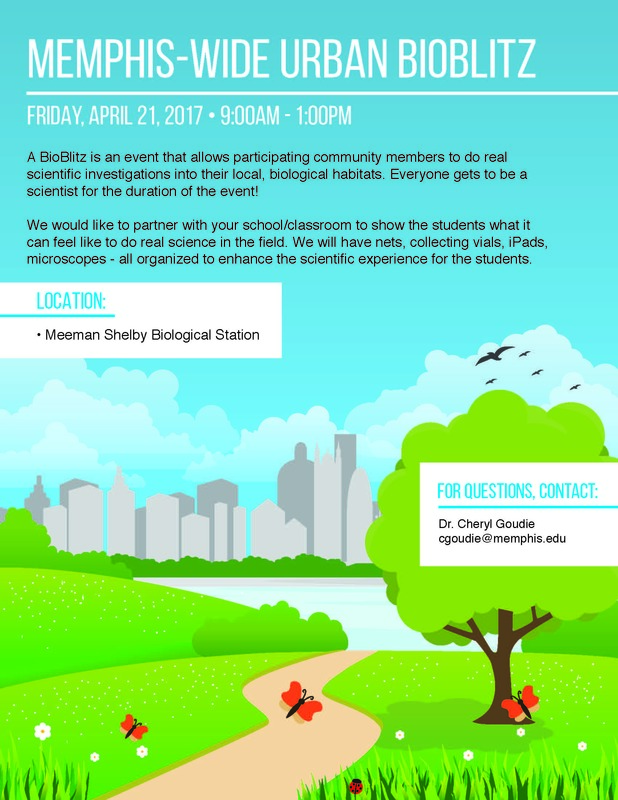 The grassroots movement known as citizen-science is again coming to The University of Memphis Meeman Biological Station Friday April 21st (Due to threat of severe weather, the BioBlitz has been rescheduled for Friday May 5)! Memphis Business Academy high school students will participate from 9:00 AM to 1:00 PM Friday. Check out our flyer! Meeman is one of five sites (also Lichterman Nature Center, Lucius Birch Natural Area, Overton Park and T.O. 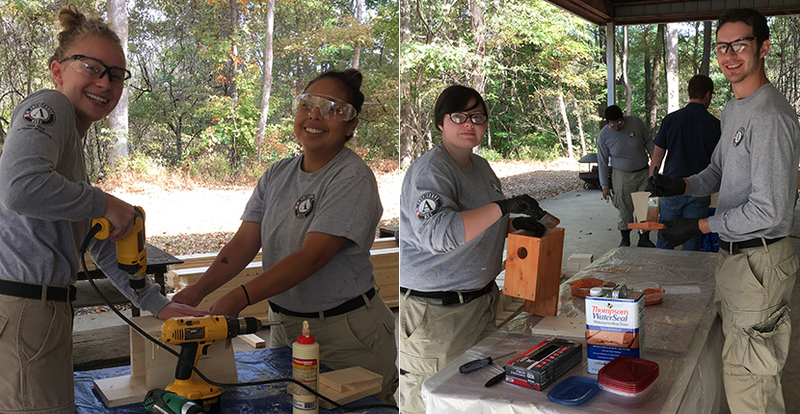 Fuller State Park) that will participate in this 2nd annual event to find and identify as many species of plants, animals, microbes, fungi and other organisms as possible. All data collected will be uploaded to iNaturalist and by the end of the day, we will have added to the snapshot of biodiversity in Memphis. See our BioBlitz 2017 page for more information! The Edward J. Meeman Biological Station consists of two sites: The Meeman site (623 acres; 252 ha) is located about 25 miles north of Memphis and 2 miles east of the Mississippi River on a Chickasaw Bluff. This site is in the narrow transition zone between the Mississippi River Valley and West Tennessee Coastal Plain physiographic regions. The Station and surrounding areas are characterized by low plains and fertile valleys which are drained by the Mississippi River and several tributaries. The Station has a modest conference/administrative center, large laboratory building with classrooms, research and teaching labs, dormitory room, and a kitchen. The Brunswick site (367 acres; 149 ha) is located adjacent to the Loosahatchie River about 20 miles east of the Meeman Site. 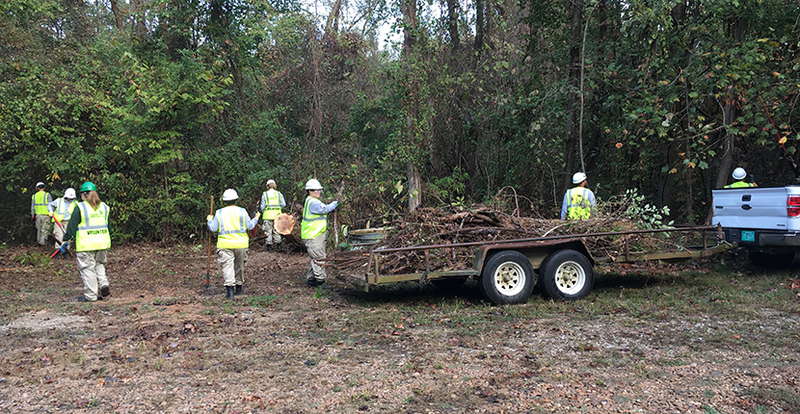 This is a bottomland site with sluggish streams, cypress swamps, and numerous old fields surrounded by private lands. 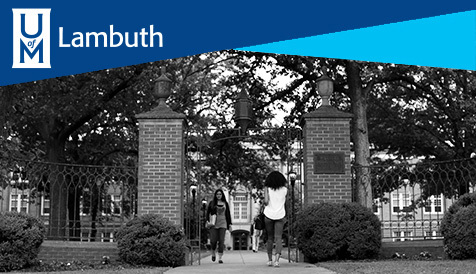 The Station is available to graduate students and qualified investigators throughout the year. Faculty from The University of Memphis and several other institutions in the Mid-South utilize the facility for research purposes. 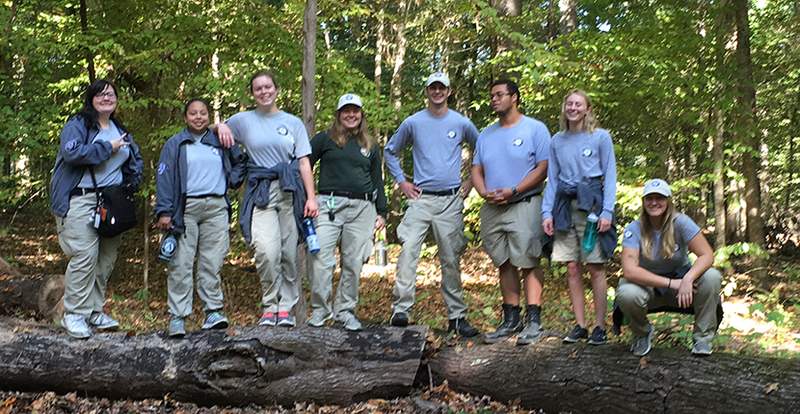 Ongoing research programs include river and wetland ecology, wildlife ecology, plant community ecology, population ecology, evolutionary ecology, ecological genetics, and others. Courses in ecology, botany, field techniques, and related disciplines are offered during the summer. Departments at the UofM, local universities, colleges and schools, community groups and other interested parties are invited to request use of MBS facilities.